[PDF] Digital Image Processing Using MATLAB | Free eBooks Download - EBOOKEE! Description: For Image and Computer Vision, Image Processing, and Computer Vision courses. This is the first text that provides a balanced treatment of image processing fundamentals and an introduction to software principles used in the practical application of image processing. 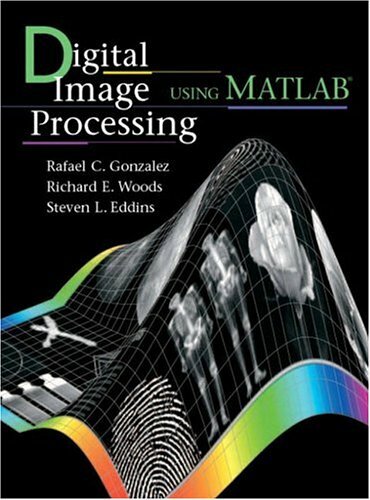 A seamless integration of material from the leading text, Digital Image Processing by Gonzalez and Woods and the Image Processing Toolbox from Mathworks, Inc. This text works in the MATLAB computing environment the Toolbox provides a stable, well-supported set of software tools capable of addressing a broad spectrum of applications in digital image processing. The major areas covered include intensity transformations, linear and nonlinear spatial filtering, filtering in the frequency domain, image restoration and registration, color image processing, wavelets, image data compression, morphological image processing, image segmentation, regions and boundary representation and description, and object recognition. No comments for "[PDF] Digital Image Processing Using MATLAB".